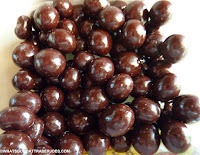 The whole chocolate-covered espresso bean/coffee bean thing is growing on me. Bite-sized blasts of earthy cocoa, sugar, and caffeine were never my go-to pick-me-up, but even non-coffee drinkers like me have to admit, there's a lot of good stuff going on here. I've had quite a few different brands and varieties of this sort of snack, but this is probably the best one I've tried so far. Sonia agrees, and she's far more into coffee and its derivative products than I am. 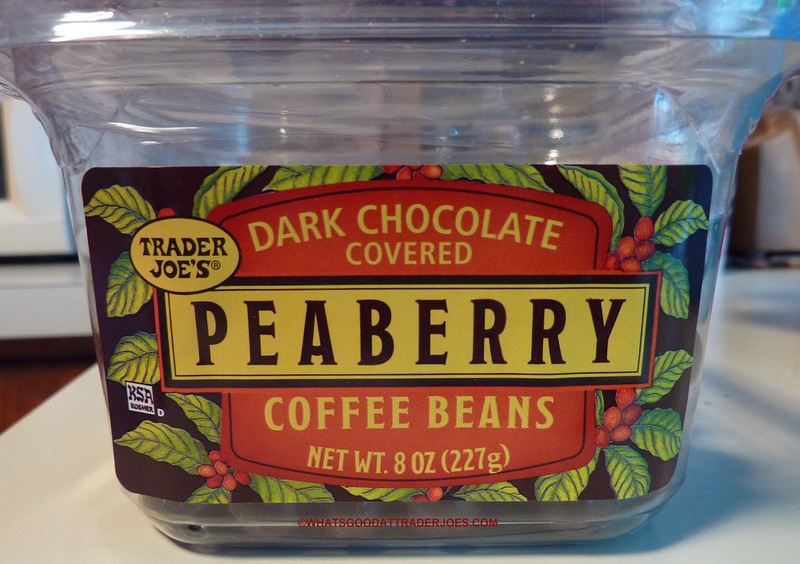 There's a delightful depth to the taste of these beans that blends seamlessly with the bittersweet chocolate. Everything from the crunch of the beans to the texture of the coating is on-point and amazing. When I walk into a coffee shop, I always smell the enticing aromas of roasting beans and steaming milk, but when I purchase that rare cup of coffee or espresso, I'm almost always let down. Even with the best blends, I always feel like the taste of coffee can't compete with its fantastic fragrance. Not here. These beans taste like that coffee shop smells: sweet, rich, robust, and downright delicious. The biggest drawback to these peaberry beans is the inevitable urge to eat way more than you should in one sitting—not just for the calorie count, but also because you'll be buzzing and bouncing well into the night. If you want to play a really mean trick on someone, give them a tub of these treats right before bedtime and watch them try to eat just one. Sonia will go with four and a half stars for these comestible coffee beans. I'm still not the biggest coffee bean backer or dark chocolate devotee in the world, but I can't go with less than four here. I love these- i just have a few right after lunch (ok, so those few are mixed with the new fabulous dark choco covered cocoa nibs). Excellent observation about the bean to chocolate ratio. I think you're right about that.